Manage your banquet facility with #1 Cloud Banquet Application Software. Engage customers from enquiry through event completion using easy and secure interface. Pxier Banquet Software is a cloud based application software service, designed for all event management needs. Loaded with features for a low monthly price. Why pay more when you can get more for less. Pxier keeps it very simple. No contracts, Cancel anytime, no cancellation fees. Our Online banquet and meeting room management software is intuitive and makes it easy to search, create and modify details. 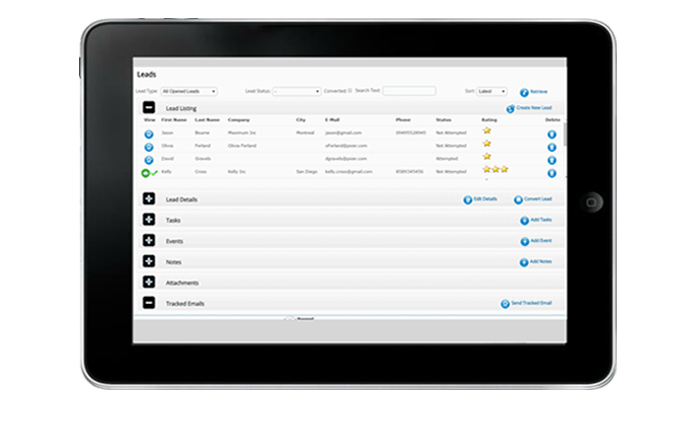 Powerful yet simple features include customer and contact management, contract and event management, services and rental equipment management, invoice and contract generation, daily and monthly banquet hall calendar views and much more. Easily avoid or handle double bookings. Manage single or multiple banquet halls, merged halls and split rooms with Pxier event management software. The system can be configured for single banquet hall hosting occasional event or multiple halls hosting events across one or more days. Schedule early morning or late night events, offer special packages and services and even publish events to your facebook account. Efficiently manage your catering business using Pxier Events catering Modules. Be it catering business for restaurants and independent owners or catering service as part of complete event management package Pxier offers the tools to successfully manage banquet facilities of any size. Our caterer portal allows you to let 3rd party caterers manage online their work order efficiently without login into the main system. Use Pxier Banquet software to organize and streamline your business. Reduce paper work via automation, increase productivity with less rework and improved efficiency, avoid confusion by having information centrally and accessible online 24x7 from anywhere. Offer customers and participants experience a well planned and lean event, Improve customer satisfaction with quick and accurate response. Pxier Events software allows you to reserve and manage conference rooms for small or large conferences easily. Single session conference or conference spanning multiple days with multiple sessions per day. You can even manage single or multiple breakout sessions. Use daily Events calendar view to see the schedule for a venue. All this with no hardware purchase or software installation. Pxier Banquet softare offers all the features required to run one or more facilities easily including banquet halls, meeting rooms and more. 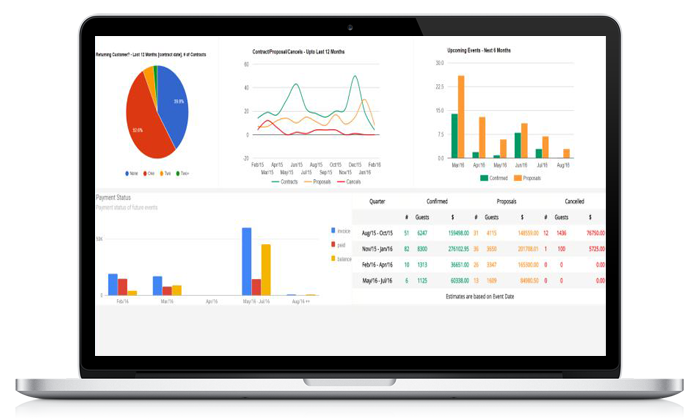 Features include, customer and contact management, contracts, events, additional services, appointments, detailed catering or food menu, payments, quickbooks integration, daily or management reports. Most functionalities are customizable to fit your requirements or needs. Our pricing model is based of number of Halls. Other than monthly low pricing plans. We offer 10% discount on yearly subscriptions. 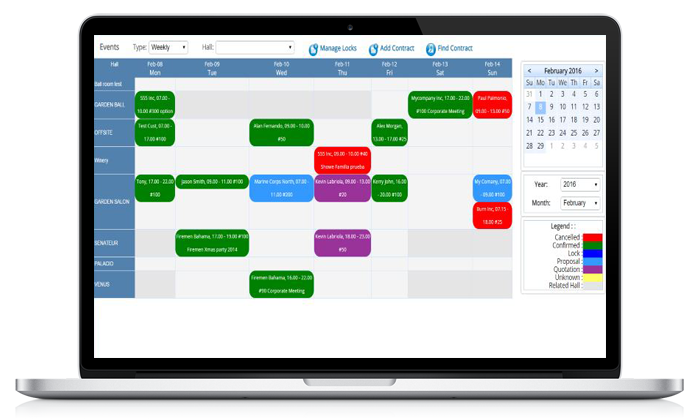 Instant Hold: Offers front office personnel an effective and efficient feature to manage bookings. Lets booking agent hold or lock a reservation quickly. Search existing holds and create a contract with one click or simply remove the hold. Social media integration: Reach out to your existing and potential customers. Easily publish Events to your Facebook account. Easily pick and choose the details to publish. Create a new event or publish event details to your Facebook wall. QuickBooks Integration: Automatically transfer customer, transaction, invoice and payment details to QuickBooks accounting software. Easily configure you account to identify taxable and non-taxable items. Keep your business accounts in sync and up to date. Online Reservation: Offer online reservation to your customers right from your own website. Easily configure your offerings including hall booking, catering, services and rentals, online payment, booking notification and more. Online event reservation completely integrated with Banquet system and can be reviewed and merged with few clicks. 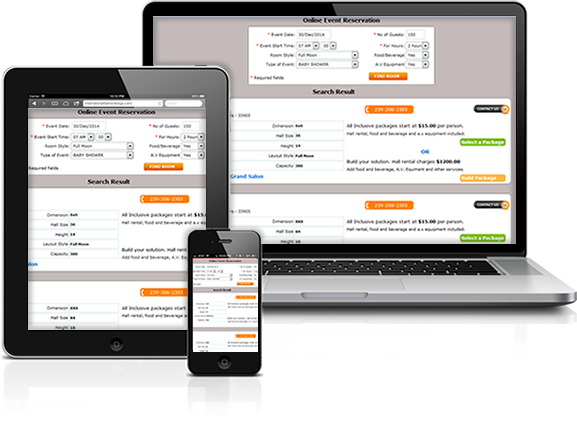 Request a NO obligation and FREE demo of our Banquet Software and Online module with our specialist today.